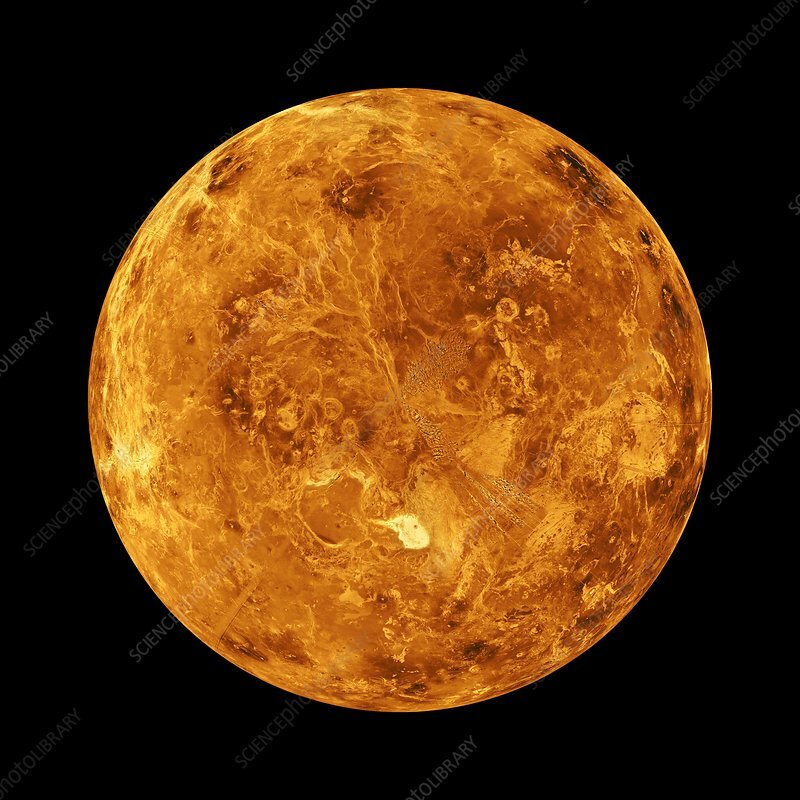 Venus. Synthetic aperture radar map showing the northern hemisphere of the planet Venus, with the north pole at centre. Imaged by the Magellan spacecraft, with data gaps filled with Pioneer Venus Orbiter data.